Saturday, March 30, marked the 43rd anniversary of Land Day for Palestinians throughout the Occupied Territories. The anniversary is all about Palestinian resistance against Israeli theft of their land, displacing them for exclusive Jewish development and use. It’s against the systematic transformation of historic Palestine into a state affording rights to Jews alone, Arabs treated like nonpersons, Israeli Arab citizens, 20% of the population, treated like fifth column threats. March 30 was also the one-year anniversary of weekly Great March of Return demonstrations in Gaza against Israel’s illegal suffocating blockade, an act of war without declaring it. Two million Gazans are held hostage by Israeli viciousness, the world community doing nothing to relieve their suffering, nothing to hold Israel accountable for high crimes too serious to ignore. They include three premeditated wars of aggression on the Strip since December 2008, along with intermittent terror-bombings and cross-border incursions, civilians threatening no one harmed most. On Saturday, Sabreen al-Najjar, mother of 21-year-old Razan al-Najjar, commemorated her daughter’s murder at the hands of an Israeli sniper – an angel of mercy paramedic, a victim of Gaza’s killing fields. Dressed in white attire, identifying her as a first responder medic, she was lethally shot in the neck and back, an exploding dum dum bullet destroying her heart, killing her instantly. According to Gaza’s health ministry, Israeli soldiers killed 266 Palestinians, injuring over 30,000 others since Great Gazan March of Return demonstrations began one year ago. On Saturday, Israeli snipers killed four Palestinians, injuring 316 others, including 86 children and 29 women, said Gaza’s health ministry – many seriously during all Great March of Return protests, including yesterday’s. Razan and two other Palestinian medics were killed, 665 others wounded, and 112 ambulances damaged, Gaza’s health ministry explained. At least two clearly identified journalists by their attire were killed, dozens of others wearing press IDs injured. Israeli soldiers and other security forces routinely attack peaceful Palestinian demonstrators throughout the Territories with live fire, rubber-coated steel bullets, toxic tear gas, and other repressive tactics. The Gaza-based Palestinian Center for Human Rights (PCHR) condemned Israeli use of lethal force against peaceful protesters threatening no one – how its regimes confront all nonviolent demonstrations, falsely blaming Palestinians for high crimes committed against them. Like ahead of all Great March of Return demonstrations, the IDF set up fortified positions on the Israeli side of the border, snipers positioned with orders to use live fire and other toughness against peaceful protesters. Israeli media reported that the IDF deployed three brigades of combat troops and an artillery battalion along the Gaza border, along with 200 snipers. As in previous weeks, tens of thousands of Gazans turned out on Saturday, including entire families. Threatening no one, Israeli soldiers fired on them for target practice, gunning down or otherwise injuring hundreds. Reporting on what happened on Saturday, the NYT featured a photo of a Palestinian demonstrator using a sling shot to hurl a likely stone in the direction of Israeli forces, safely behind barricades, too far away to be harmed – instead of showing IDF snipers gunning down Palestinians in cold blood. The Times turned truth on its head, calling Saturday events “mostly peaceful” – entirely so by Palestinians, nothing of the kind by IDF soldiers, attacking them unrestrained. The photo published by the Times was unrelated to Saturday protests, showing black smoke from burning tires. The Times (and other US media) falsely accused Gazans of hurling “dozens of homemade bombs” at Israeli soldiers. Nothing of the kind occurred. Demonstrators were entirely peaceful as during other Great March of Return protests. Fact: The Netanyahu regime and IDF consider civilians legitimate targets, including young children and women – 86 children and 29 women wounded by live fire, rubber-coated steel bullets, and toxic tear gas on Saturday. Many thousands of Gazans have been protesting weekly and other times against their virtual incarceration in the world’s largest open-air prison. Though unable to change things, their courage against a brutal occupier got worldwide attention. With nothing to lose, they’re unlikely to quit as long as their suffering continues. The above information should surprise no one. The self-styled newspaper of record and other establishment media operate as virtual imperial press agents – supporting US-led NATO and Israeli wars of aggression, along with their other hostile actions against targeted nations and people. That’s what the scourge of imperialism is all about, establishment media acting as accomplices. Hardly a week goes by and the United States falls deeper into global disrepute. This week was a bonanza of own goals for the self-declared “leader of the free world”. The debacle over the ridiculous “Russiagate” scandal finally imploding was spectacular. Then there were more horrific reports of US air strikes killing civilians simultaneously in four countries – Afghanistan, Somalia, Syria and Yemen. That was followed by Washington’s ludicrous lecturing to Russia about the US-imposed humanitarian crisis in Venezuela. And then, to top all those own goals, we saw President Donald Trump declaring that Israel’s illegal annexation of the Golan Heights is not, in the warped US view, illegal after all. Can you possibly keep score of the mind-boggling inanities and insanities? Switching metaphors for a moment – because you can hardly just use one when it comes to grappling with American asinine policy – Russia’s foreign ministry spokeswoman Maria Zakharova got it right when she likened the US to a “cowboy shooting up the Louvre museum” in its free-wheeling, double-dealing foreign conduct. Where to begin in dissecting the US and its descent into madness and mafia-style foreign policy? It truly is a brain-wrecking, train-wrecking challenge. Is there a wicked genius to its Mephistophelean madness? Perhaps it is simply down to Washington becoming an absurd circus of incompetence, accelerated under the administration of a former real-estate magnate and reality TV star, President Donald J (for Joker) Trump. On the Golan issue, Trump’s proclamation this week of recognizing the Israeli-occupied Golan Heights as under Israeli sovereignty is a flagrant subversion of international law and the United Nations Charter. 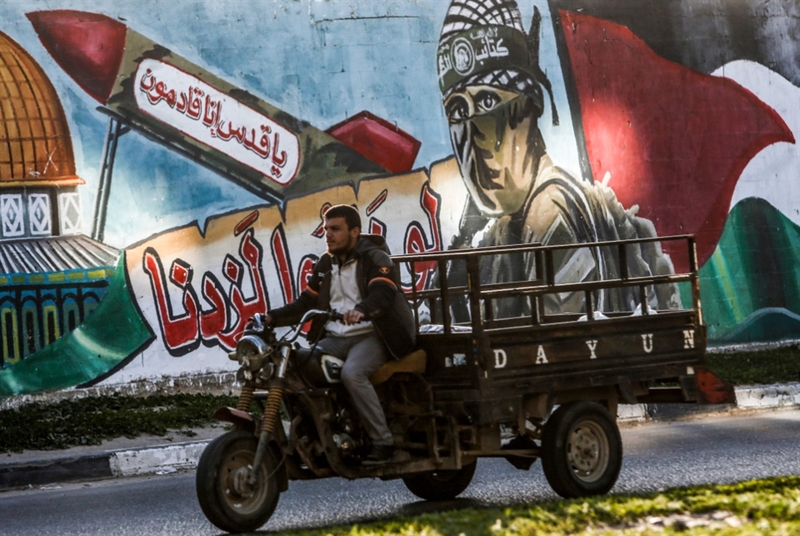 Israel has been forcibly occupying Syrian southern territory since the 1967 Six Day War. It formally annexed the strategic plateau in 1981, which was ruled as illegal by the UN Security Council – including a vote from the US at that time. Trump’s declaration is thus a brazen repudiation of international law and a glaring green light to aggression. Can anything this president says or does be taken seriously? What’s that about Venezuela, or Ukraine? His declaration this week undermines gravely the foundation of international law in a shocking, reckless affront. It completely demolishes any pretense the US claims to have as a world leader and upholder of international law. Washington has been slamming Russia for the past five years over alleged “annexation” of Crimea – and then Trump this week turns around and endorses Israeli theft of Syrian territory. At a UN Security Council meeting called this week by Syria in protest to Trump’s proclamation, the US was seen as a pariah state. All 14 other members of the council (including non-permanent members) slammed the US policy on Golan. They included US allies Britain and France. Outside the UNSC, other US allies also condemned Washington’s declaration of complicity in Israeli annexation of Golan. Egypt, Saudi Arabia, Kuwait, the United Arab Emirates, among others, all slammed the US for daring to legalize the theft of Syrian territory by Israel. We will come back to that profound point in a moment. But first, let’s throw out a few other motives for Trump’s outrageous violation of international law regarding Golan and Israel’s annexation. Trump is no doubt giving his family friend Prime Minister Benjamin Netanyahu a timely electoral boost ahead of Israeli state elections scheduled for April 9. There is also the issue of American oil interests being pursued by designating the Golan as Israeli territory. The mountainous region overlooking the Jordan Valley is reputed to hold untapped reserves on par with those of Saudi Arabia, which US-based Genie oil company has been exploring for years. But still a more strategic motive is the objective of keeping the Middle East and Syria in particular in perpetual turmoil. By annexing Syrian territory, the US-Israeli move furthers the objective of controlling the wider Arab region. Syria’s envoy to the UN, Bashar al Jaafari, made that very point at the UN Security Council meeting this week. He said the US-backed annexation of Golan was a part of the US-sponsored covert war against his country. The move is a way to keep Syria and the region in turmoil, said al Jaafari. This gets back to what the Russian envoy, Vladimir Safronkov, said. The whole point is for Washington to prevent any political settlement to the eight-year war in Syria and to impede any normalization of relations in the region. The US and its client Israeli regime only stand to benefit from perpetual chaos and conflict in the region. So far so good, as Washington may calculate – albeit fiendishly. But in the final analysis, the US is ending up looking like a complete rogue state without any respect, even among its supposed allies. The presumed global leader, Washington, is losing foes and allies alike through its disgraceful duplicity and disregard for any pretense of probity. The Golan Heights is another nail in the coffin for Washington’s over-rated self-regard. In a week of other American absurdities and own-goals, the Golan debacle may turn out to be the moment when Washington is finally seen in the eyes of the world as the utter laughing stock that it surely has become. It’s a laughing stock, but in the creepiest, macabre sense. The Golan Heights, a tiny, rocky plateau that was part of Syria till 1967, is back in international headlines. 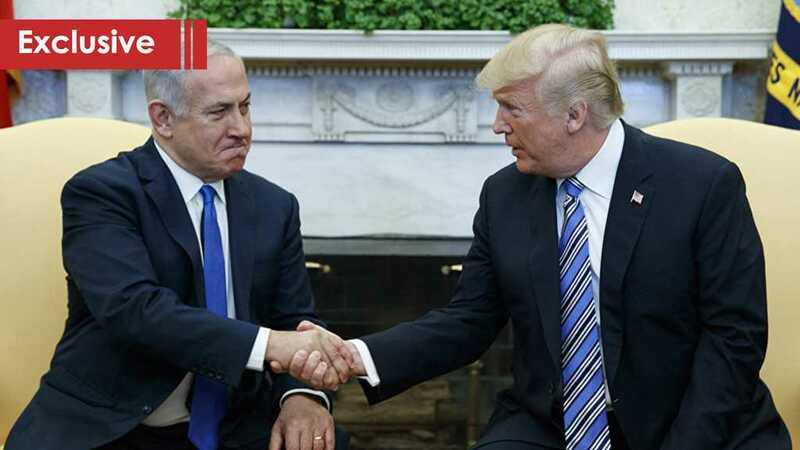 On March 25th, 2019, US President Donald Trump signed a proclamation recognizing Israeli sovereignty over the disputed region, reversing decades of American policy. Trump’s move has drawn intense criticism from across the world. Member countries of the UN Security Council have refused to recognize Israel’s sovereignty over Golan Heights, which has been the centre of conflict between Israel and Syria for decades. The Arab countries have even warned of a new wave of tensions in the Middle East. But why is the international community, including US allies, opposed to the decision of recognizing Israeli sovereignty over Golan Heights; And why did Donald Trump reverse his country’s decades-old policy on the disputed plateau? We try and understand today IN DEPTH. We also analyse why Golan Heights is so important and contentious. 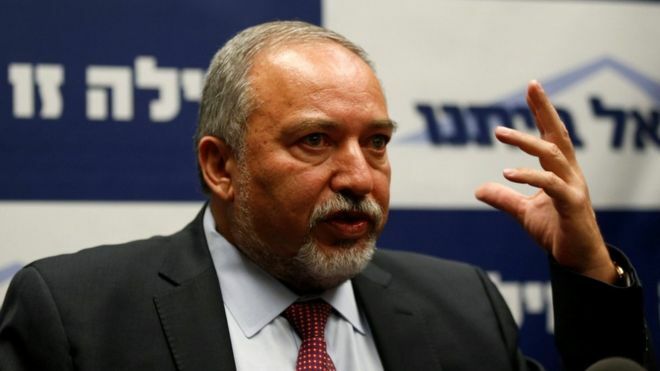 Former Israeli Defense Minister, Avigdor Lieberman said Prime Minister Benjamin Netanyahu personally torpedoed plans to strike Gaza during a flareup between the Zionist entity and Palestinian resistance last November. “Netanyahu personally torpedoed the plans,” the Chairman of Yisrael Beytenu told Israeli journalist Ben Caspit at the Maariv Security Conference on Wednesday. “We have enough tools to deal with Gaza and I had a full plan,” the Jerusalem Post reported. Lieberman resigned from his post as defense minister in November following a ceasefire deal with Hamas after over 500 rockets were fired towards the southern occupied Palestinian territories. “There’s no terror without money and now Israel is allowing money into Gaza for Hamas. We are paying protection to a terror organization and doing everything not to get the terror organization mad. Netanyahu said he said he struck Hamas hard, but not even one terrorist was even hurt,” the former Israeli DM added. Donald Trump’s tweet this week, which sought to legitimize the 52-year-old “Israeli” occupation of Syria’s Golan Heights, is only the latest demonstration that US demands for compliance with international law do not encompass the country’s own policies. “Israel” occupied the strategic plateau during the 1967 Six Day War and annexed the territory in 1981. But according to UN Security Council resolutions, including one that the Americans co-authored themselves, the Golan Heights remains a part of Syrian territory. As such, Trump’s endorsement of Tel Aviv’s claim to the Golan is essentially an empty gesture. It will not change the internationally recognized status of the Golan Heights, nor will it get other states to follow suit. And while Trump’s “irresponsible” announcement drew condemnation from the standard-bearers of resistance to Washington’s agenda – Syria, Iran, Turkey and Russia – it is doubtful that the move will lead to any significant changes on the ground. Instead, the US president is hoping that his message would reverberate throughout “Israel”, where the Trump administration’s key ally, Prime Minister Benjamin Netanyahu, is fighting for his political survival. Trump’s tweet popped up as Netanyahu’s bid to secure reelection on April 9 was met with the specter of potential corruption charges, leading to a surge in the polls for his main rival and former army general, Benny Gantz. It also comes just a few short days before Netanyahu is set to join Trump at the White House, leading to speculation that the US will officially endorse “Israeli” sovereignty over the occupied Golan as early as next week. If this is indeed the case, such a declaration may very well hand Netanyahu another term in office. The incumbent has long pushed for Washington’s seal of approval on the issue of the Golan Heights, and in recent months, he has stepped up his lobbying efforts. Earlier in March, he toured the Golan with hawkish Republican Senator Lindsey Graham; in February, several members of the US Senate introduced legislation to sanction “Israeli” sovereignty over the mountainous area. A favorable declaration from the White House just three weeks before “Israelis” head to the polls would certainly mark a symbolic victory for Netanyahu’s foreign-policy agenda, which already enjoys consistent support from the Trump administration. Since coming into office, Trump has pulled his country out of the Iran nuclear deal, relocated the US Embassy to al-Quds (Jerusalem) and closed a Palestinian diplomatic mission in Washington. But “Israel” is still a chapter in the broader tussle for power and influence between Western political elites, and Netanyahu is far from being the only one doing the lobbying. Benny Gantz, who heads “Israel’s” recently formed Blue and White political alliance, is also heading to the US this month to address the annual conference of the powerful Jewish lobbying group, AIPAC (American ‘Israel’ Public Affairs Committee). Netanyahu’s most prominent opponent is hoping to make nice with America’s left-wing figures, and of course, those pushing to unseat Trump. Naturally, Trump’s Golan move will make it more difficult for Gantz to sell his message in “Israel”, where he is arguing that the next government needs to ‘regain the full support’ of Washington. What’s more, the gifts bestowed upon Netanyahu by the White House have made it virtually impossible for Gantz to challenge the “Israeli” premier on foreign policy, especially as the leader of the Blue and White alliance has been led to exclaim that when it comes to ‘Israel’s’ external foes, “there is no right or left”. From the point of view of the current US administration, there appears to be little to lose by recognizing “Israel’s” sovereignty over the Golan and handing Netanyahu his pre-election prize. Trump himself has become quite accustomed to delivering shocks to international consensus, especially when it comes to issues pertaining to “Israel”. The American president therefore isn’t expecting any real opposition to the Golan move from any of his Western client states. Condemnation coming from the Arabs will also be muted, or, at the very least, disingenuous. Gulf monarchies are not only invested in Trump’s political future, but have a major stake in Netanyahu’s, too. In fact, the recent deployment of the most advanced American air and missile system to “Israel” signals that only Iran and Hezbollah are still perceived as real threats by Tel Aviv and Washington. The Terminal High Altitude Area Defense (THAAD) is being touted as Washington’s commitment to ‘Israeli’ security. Viewed in a more focused geopolitical context, however, such measures have everything to do with the fact that the “Israeli” occupation of the Golan Heights and other Arab territories illegally held for decades has very few challengers left. And both Trump and Netanyahu are well aware that one would be hard pressed nowadays to find any outside of the Iran-led Resistance Axis. – يمكن تفهّم المواقف الصادرة عن حركتي حماس والجهاد الإسلامي التي تذهب أبعد من نفي مسؤوليتها عن الصواريخ التي استهدفت تل أبيب ليل أمس، وذهاب بعض مسؤولي الحركتين إلى حد اعتبار الصواريخ عملاً يهدف لجر قطاع غزة وقوى المقاومة إلى مواجهة يظن البعض أن رئيس حكومة الاحتلال بنيامين نتنياهو يحتاج جولة تصعيد يصرف رصيدها انتخابياً، لكن التدقيق في مدى قدرة نتنياهو على توظيف الصواريخ وأي جولة تصعيد تليها، يطرح سؤالاً جدياً عن مدى قدرة كيان الاحتلال على الدخول في مواجهة ستنتهي حكماً قبل موعد الانتخابات، دون أن تكون النهاية مريحة لنتنياهو وفقاً لما تقوله موازين القوى، من جهة، ومن جهة مقابلة، مدى قدرة قوى المقاومة على الامتناع عن ردود قاسية في أي مواجهة، ومدى قدرتها على تفادي استهداف تل أبيب بعد ما مثلته الصواريخ، وفي النهاية مدى قدرتها على تقديم تنازلات من هيبتها ومن حساب معادلات الردع لمنح نتنياهو وجيش الاحتلال سلّماً للنزول عن الشجرة. – الأكيد، رغم كل المواقف والتحليلات، أن شيئاً نوعياً كبيراً حدث ليل أمس، هو حدث نوعي كبير وغير مسبوق أياً كانت الجهة التي تقف وراءه، سواء أعلنت مسؤوليتها أو أغفلت ذلك أو ربما رأت أن الأفضل هو نفي المسؤولية، ففي كل الحالات الحدث مفاجئ للجميع ويمثل تحولاً في قواعد الاشتباك مع كيان الاحتلال منذ قيامه قبل سبعين عاماً، ففي كل الحروب التي مضت عام 1947 وعام 1956 وعام 1967 وعام 1973 وأعوام ما بين 1982 و2000 وصولاً إلى حرب عام 2006، لم يسقط صاروخ على تل أبيب، وبقيت تل أبيب حصناً محمياً بعيداً عن التهديد، وإن تمّ تهديد تل أبيب فقد بدا أنه تهديد عابر، أو أن كيان الاحتلال قد تمكّن من احتوائه وإلغاء فرص تكراره بخلق واقع عسكري جديد في الجغرافيا التي شكلت مصدر هذا التهديد، سواء في مصر جمال عبد الناصر أو في العراق أو في سورية، بينما يقف كيان الاحتلال أمام حقيقة جديدة، فهو مضطر للاعتراف بأن استهداف تل ابيب سيصير مشهداً مألوفاً في أي مواجهة تخوضها حكومة الاحتلال مع أي من أطراف محور المقاومة. فالصواريخ التي تطال تل أبيب موجودة، وقادرة، والقبة الحديدة عاجزة عن منعها، وما يملكه الذين هم أقل يملكه الذين هم أكثر، وما يستطيع فعله أطراف غير رئيسية في غزة تستطيعه الأطراف الرئيسية، كما تستطيعه المقاومة في لبنان ويستيطعه الجيش السوري وقوى الحشد الشعبي في العراق وبالتأكيد تستطيعه إيران. – هذه صورة رمزية تلتقطها الكاميرات الإسرائيلية لما سيكون عليه التحدّي مع أي مواجهة مقبلة، فبعدما كان استهداف تل أبيب نظرياً كفرضية قابلة للتأكيد، صار واقعاً، قابلاً للتكرار، ومثلما قال رئيس لجنة الاستخبارات الوطنية الأميركية دان كوتس أمام مجلس الشيوخ، التصعيد الإسرائيلي في ظل توازنات هشّة وغياب سقوف سياسية سيجلب خطر الانزلاق إلى مفاجآت تصعب السيطرة عليها، والذين يتحدثون عن مصالح إسرائيلية بالتصعيد أو الذين يقولون إن نتنياهو يحتاج إلى جولة تصعيد يتجاهلون أنه كان قبل شهور يصول ويجول في الغارات على سورية وقد توقف عنها، ويتجاهلون أن كل حرب أو نصف حرب تحتاج إلى استراتيجية خروج، فنتنياهو يملك قرار بدء الحرب، لكنه لا يملك خريطة طريق واضحة لإنهائها، وحماس والجهاد والفصائل يملكون قدرة التبرؤ وحتى الإدانة للصواريخ، لكنهم لا يملكون الصمت والتفرج إذا بدأت الحرب، وبعد ظهور الصواريخ على تل أبيب، لن يكون مقبولاً أن تقع المجازر وتبقى الصواريخ المشابهة في المستودعات! – بالنسبة لأجيال عربية عاشت مراحل الانكسارات، وعاشت مع المقاومة زمن الانتصارات، تحقق ليل أمس حلم عتيق، يدخل الفرحة إلى القلوب بعيداً عن التحليلات، إن تجرّع نتنياهو ذل الصواريخ تحقق ميزان ردع جديد، وإن ردّ بحرب أجبر مالكي الصواريخ الأشدّ قدرة على إخراجها من المستودعات.